Cheated by her stealing, polygamist husband of 17 years, once high- flying corporate executive Christine Meeusen fled penniless with her 3 young children as her American dream began to unravel. Determined to make a living for her family, she discovered the lucrative business of cannabis farming and met her calling as the founder of medicinal-marijuana empire Sisters of the Valley. 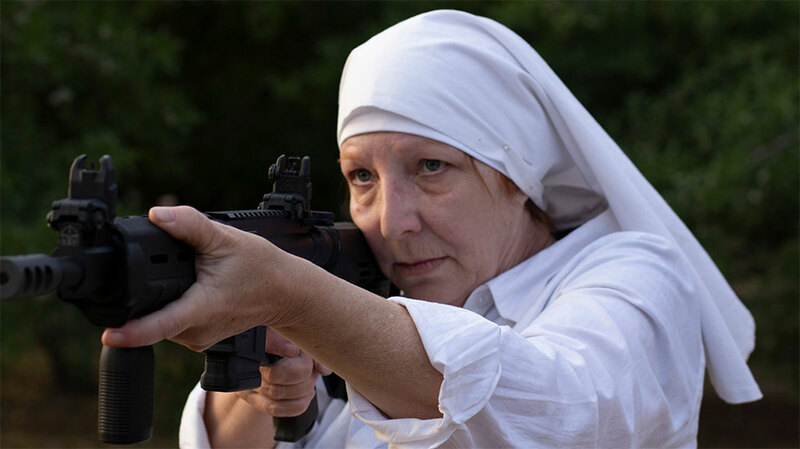 Shedding her former life, Christine became Sister Kate; on a mission to provide her products to those in need, fighting off the country sheriff and protecting her crop from deadly black market thieves. We’ve got double passes to giveaway to Breaking Habits in cinemas April 18. To enter simply email us here at win@xpressmag.com.au with BREAKING HABITS FESTIVAL in the subject line then tag the mate you want to take in the Facebook post. Don’t forget to like the X-Press Facebook page and sign up to the newsletter to be in the running! Competition closes Wednesday, April 17 at 5pm. Please only enter if you can attend. You must be a Perth, WA resident and be able to pick up your physical ticket from the Rosemount Hotel.